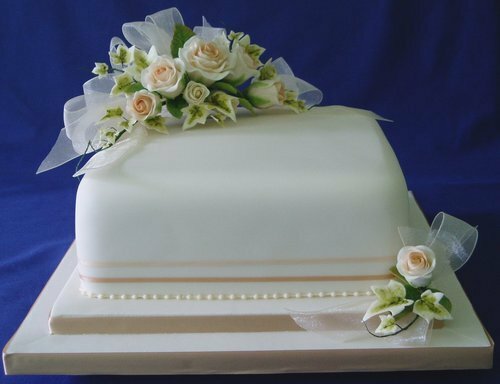 An elegant single tiered square wedding cake coated in cream icing. Decorated with delicate peach sugar roses, variegated Ivy and sheer ribbon bows. The simple ribbons around the sides complement the colours of the flowers.